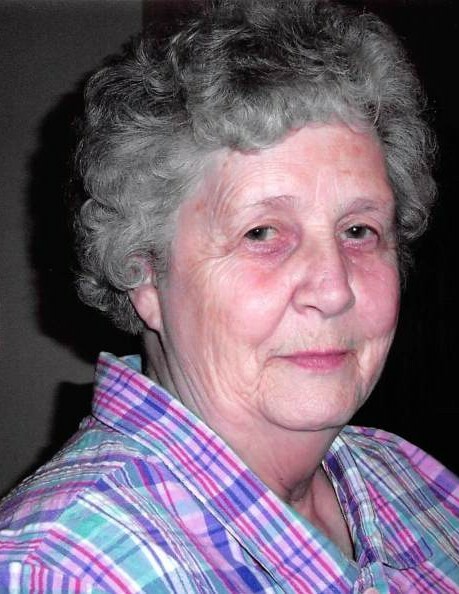 A. Joyce (Merritt) Crosland, 81, of Pottsville, passed away peacefully, on November 15, 2018, at Tremont Health and Rehab Center. Born in Newburgh, NY, April 20, 1937, she was the daughter of the late Benjamin Franklin Merrit and Ruth (Hughes) Kapshock. Joyce volunteered at the Good Sam Hospital for several years. She enjoyed painting and collecting her ceramics. In addition to her parents she was preceded in death by sisters, Ruth McNeal, Louise Przyblek, and Sharon McCoy. She is survived by her husband of 55 years, Leonard Crosland, Pottsville, sons, David Crosland, Pottsville, Thomas Crosland, Pottsville, and Daniel Crosland, Harrisburg; nine grandchildren, great grandson, Max, and several nieces and nephews. Funeral Services will be held 11AM on Tuesday, November 20, 2018 at Schlitzer Allen Pugh Funeral Home, 515 W. Market St., Pottsville. Pastor Diefenderfer, chaplain with Compassionate Care Hospice will be officiating. Family and friends may call from 10AM until the time of the service. Interment will follow in Schuylkill Memorial Park, Schuylkill Haven. Please visit SchlitzerAllenPugh.com to leave a condolence for the Crosland family.